The main kHz tuning control is too sensitive for precise tuning of SSB and CW stations. Early production units were soon improved by the addition of a fine tuning control. 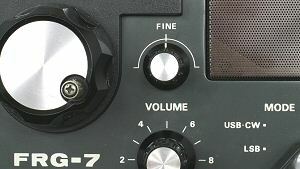 The original fine tuning range was ± 6.2kHz. This is adequate but still a bit sensitive for precise tuning. This modification will reduce the fine tuning range to a more manageable amount. 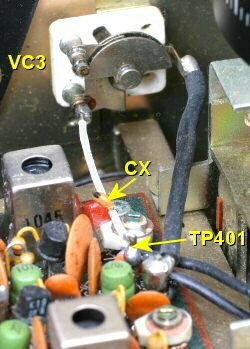 The fine tuning capacitor VC3 is in parallel with the main kHz tuning capacitor VC2. By adding a capacitor CX in series with VC3 it reduces the range of the fine tune control, see Table. As can be seen from the table the effective fine tuning range changes from the low to high end of the main kHz dial. If you fit a 10pF capacitor the fine tuning range is approximately halved. If you use a capacitor value less than 10pF - e.g. 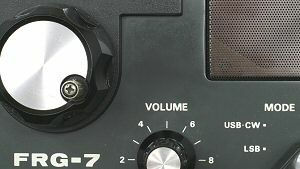 3.3pF - you may experience too little range at the top end of the main kHz dial. The type of capacitor is also important as its stability will influence the overall performance of the receiver. Two types of capacitor offer good stability, Silver Mica and NPO (Negative-Positive-Zero) Ceramic. Silver Mica capacitors offer excellent temperature and long term ageing stability. However, they are expensive and becoming difficult to obtain. 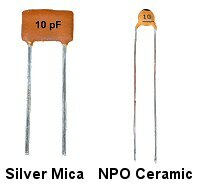 NPO ceramic capacitors are very stable over wide variations in temperature and time. They are relatively inexpensive and are available from the majority of electronic component suppliers.